Beads are all over my table but I'm also crocheting at the same time. Made this cute cap for my niece. I hope to send it to her before she gets big. Also made a scarf using a brown mercerized cotton thread. I plan to give it to someone but it'll take me some time to finish this since the stitches are small. 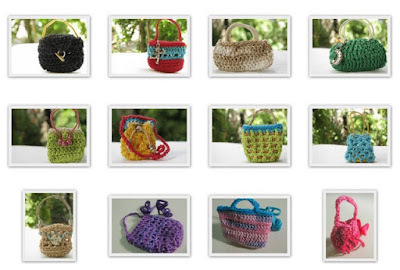 And I finally uploaded photos of my miniature crochet bags. Yay! you are soo talented.. wow.. its soo creative. i loved it..